Just down the coast from Arambol is beautiful Ashvem. Ashvem is known for its celebrity set who visit the A-list bars and swanky resorts. It probably gets a lot more popular further into the peak season, however when we arrived there were barely any other tourists.Walking along the beach were temporary structures being made out of bamboo. We stayed in Ashvem for 2 nights, it couldn’t have been more peaceful. Silent Beach Huts – We chose these huts due to their proximity to the beach. 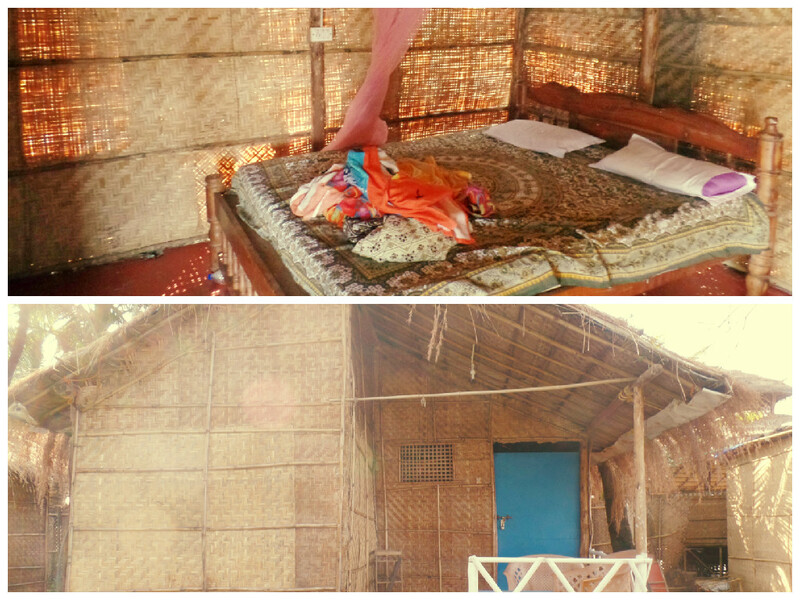 We paid 1500 rupees for a hut which included using the sunbeds on the beach. The hut was very basic and dimly lit. The double bed was uncomfy and the blankets smelt stale. The best thing about the hut was the warm shower. We could hear loud music from next door blasting into our room but thankfully they turned it off at 11pm. The staff were very friendly at Silent Beach Huts and they made really tasty cocktails. Visit here but perhaps find somewhere else to sleep. 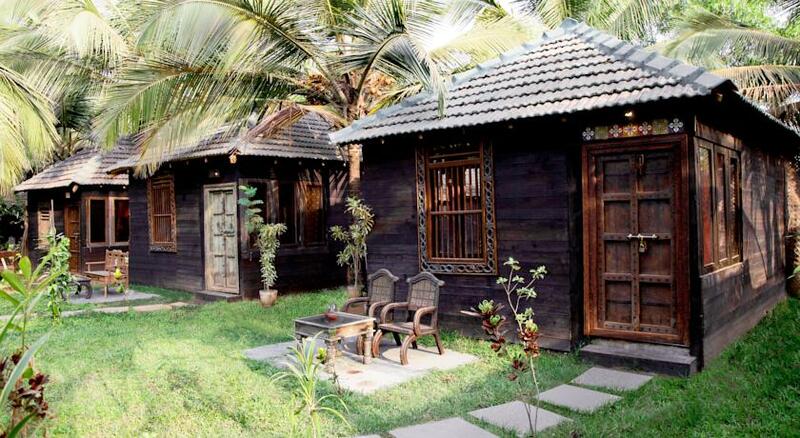 Leela Cottages – Boutique resort close to the beach with designer huts set in a jungle feel landscape. 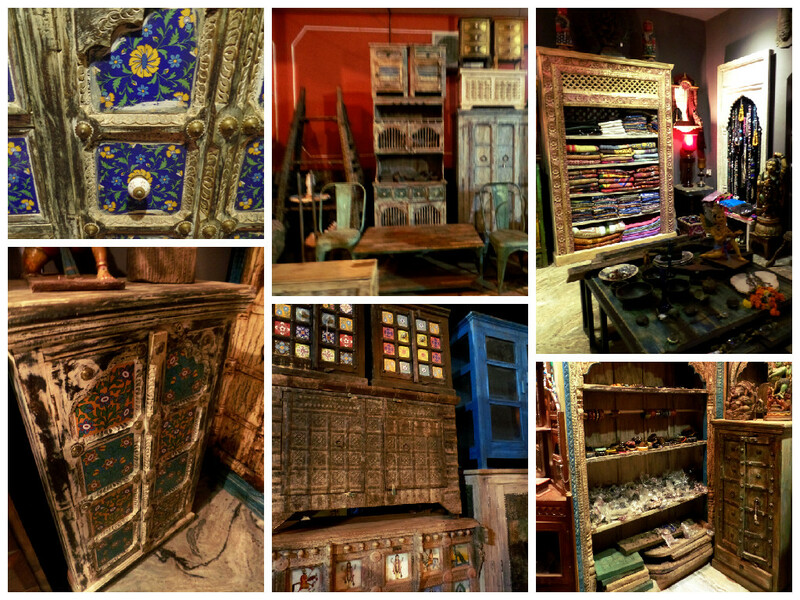 Rooms are beautifully furnished with antiques from all over India, prices starting from 6000 rupees. 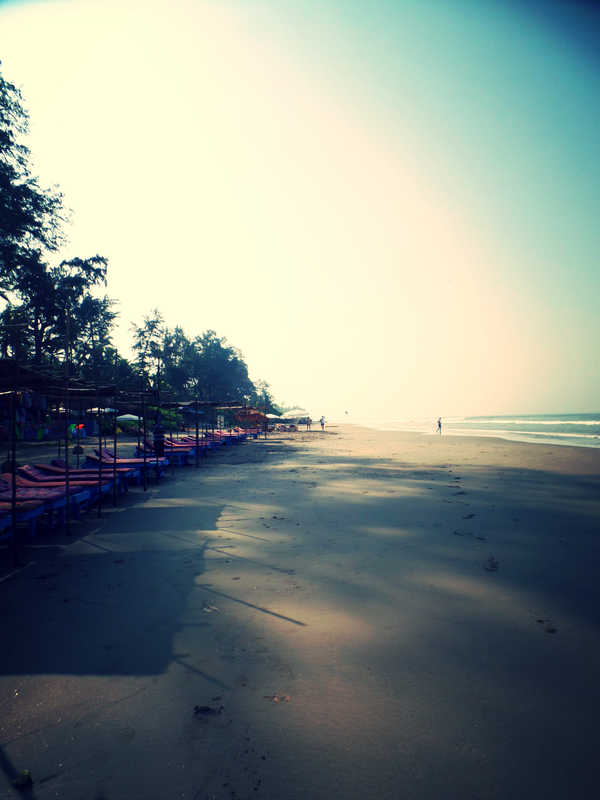 Ashvem beach is beautiful. We found it a place of peace compared to Arambol’s busy well trodden sand. We saw some of our best sunsets here. This is definitely a beach you can relax, sunbathe and drink cocktails on. On our last evening we went to the fancy Marbela Beach for dinner and cocktails. We saw rich young Indians, boys and girls drinking and flirting with one another (a sight we were definitely not used to). Everything about it said this is luxury. Fran was very happy to find a chicken kiev on the menu, something she’d been craving throughout India…. After dinner at Marbela Beach we carried on walking further up and found a fabulous shop selling beautiful hippy style dresses. 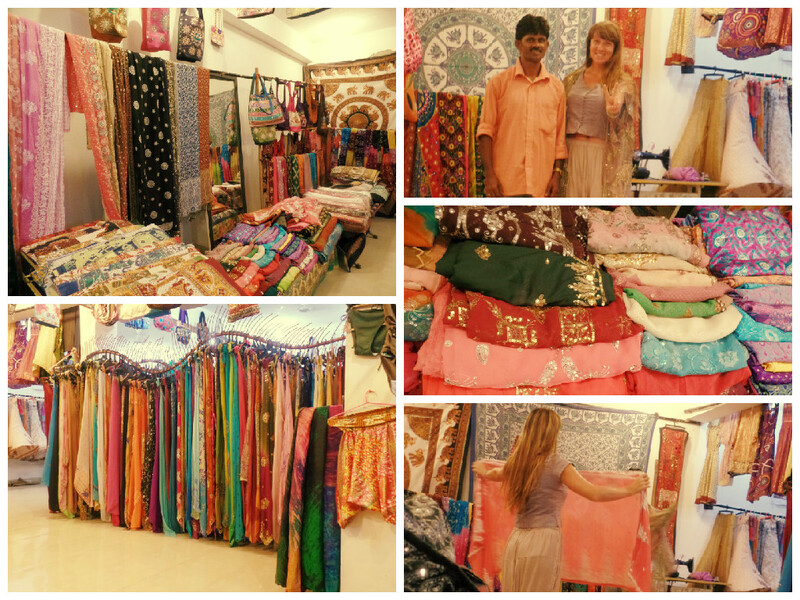 The owner has a stall at the famous Anjuna market (most shops in Goa do). I found the prices with him cheaper than the market so it was a good find! I spent about an hour here trying things on whilst Fran played frisbee with the neighbours little boy. We ended the night having chai with all the local shopkeepers. We also found this awesome antique furniture shop near Marbela Beach. As I walked around I tried to work out how I could ship everything to England…..
We booked a taxi from Vagator however you can get a bus from Panjim and Morjim. There are only 3-4 daily so make sure you check the times. Definitely! But not on a backpackers budget. I would love to stay at Leela’s Cottages or rent a luxury tent at Marbela Beach. I’d also just go back so I could buy the antique furniture for my home.